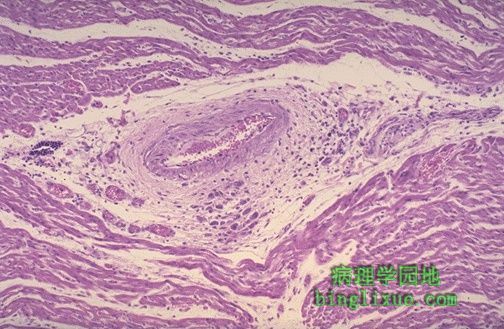 Microscopically, acute rheumatic carditis is marked by a peculiar form of granulomatous inflammation with so-called "Aschoff nodules" seen best in myocardium. These are centered in interstitium around vessels as shown here. The myocarditis may be severe enough to cause congestive heart failure.